by Elizabeth Edmondson | Women's Fiction | This book has not been rated. Marvellously atmospheric tale of strangers summoned to a grand but neglected villa on the Italian coast. Each of them has been named in a will, but nobody knows their benefactress...Four very different people are named in a will. Delia, an opera singer robbed of her voice by illness; George, an idealistic scientist who cannot face what his skills have created; Marjorie, desperately poor and unable to dislodge her writer's block; and Lucius, ostensibly in control but whose personal life is in chaos. All are summoned to the Villa Dante, home of the late Beatrice Malaspina. But who was she? While they wait to find out, the villa begins to work its seductive magic. With its faded frescoes, overgrown garden and magnificent mediaeval tower, it is unlike anywhere they have been before. Slowly, four characters who have gone to great lengths to hide their troubles find that change -- and even hope -- is possible after all. But the mysterious Beatrice has a devastating secret to reveal that will affect them all! 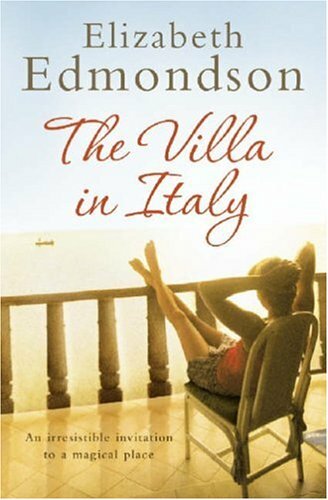 A beautiful evocation of Italy in the aftermath of World War Two, the personal consequences of living through such a time, and a celebration of humankind's ability to heal and learn to love again, this most absorbing novel will win Elizabeth Edmondson a host of new fans. This book is going on a special journey. Enjoy! oooooooh thank you Audrey for putting this wish list book in my wonderful Nss.. parcel, it looks like a lovely curl up and lose an afternoon book : ) looking foward to reading it. Well I had to read this straight away - as it really looked like just the thing I was in the mood for.It didnt disappoint. This is a feel good read, the setting is lovely and the characters each with their own demons are the kind of characters you come to care about. The story begins in 1957, when each of ffour strangers recieve instructions to go to a villa in Italy to recieve a bequest, the deceased, a woman none of them has ever heard of. There are plenty of secrets waiting to be revealed at the villa, as they and the reader slowly begin to discover the secrets that each of the four legetees has, and the connexion they have to the mysterious Beatrice Malaspina. Thank you so much for this book from my wish list. It will be going on to my TBR very soon pile. I know I have something from your wish list so that will also be read soon and I'll get it off to you. Don't you just love Bookcrossing!!! 5 years is a long time to have had this book and not read it so I'm going to release it very soon. Sorry to have hung on to it for so long.